Dave Ramsey was pivotal in my life. His book “The Total Money Makeover” changed the way I thought about personal finance, and it sparked our debt-free journey. He has helped MILLIONS of people! I’m not here to say I’m more intelligent than him, I’m not. I’m here to explain why we’re skipping Baby Step 6. We purchased our home in 2016 at the price of $335,000 with a 4.25% interest rate and we put down 5% ($16,750). I know… I probably SHOULD have put down more. We were in a rush to relocate for work and made a bit of an emotional decision to purchase this place. It was a HUGE dream of ours to own a farm and we found one we both fell in love with. In late April we achieved our goal and became (consumer) debt-free! $109,000, gone! It took us about 4 years in total, with the last 12 months being the most intense ($59,403.26). It was awesome, we ordered a giant meal of sushi and celebrated. After we rose from our gluttonous state, we had to decide what to do with our money now. We figured we could save up our 6 month emergency fund ($22,000) in about 4 months. After that… it became confusing. We are able to save roughly $5,100 a month now. If I were to take $5,000 (leaving a $100 buffer) and add it to the mortgage principle, our loan would be paid in full by November 2022. I would be able to begin these payments on September 1st, 2018. So, that’s 50 months’ worth of extra payments. Not too shabby… and our frugal lifestyle makes this doable. Our goal is to reach financial independence as early as possible. That is important to remember because the thought of paying off the mortgage is exciting. It gives me an emotional rush and a charge of excitement! Will it help us reach financial independence early? I’m not so sure… After months of reviewing amortization tables and deliberating, we decided to NOT pay off our mortgage in 50 months. The S&P 500 has averaged an annual return of 9.8% for 90 years. That will be the basis for my math. If we pay our home off in 50 months, we would begin investing in December of 2022. That would leave 23 years to invest $6,500 ($5,000 + Mortgage Principal) a month, before I turn 60 (worse case retirement scenario). That will produce a balance of $6,038,827.16. That’s pretty damn good!! Now, what happens if we begin to invest that $5000 a month in September or 2018? That same $5000 a month invested for 28 years would produce a balance of $7,778,310.28!!! This is a 1.7 MILLION DOLLAR DECISION! Do I want to work until I’m 60? Abso-freaking-lutely NOT! So, let’s shorten it to say… 10 years? 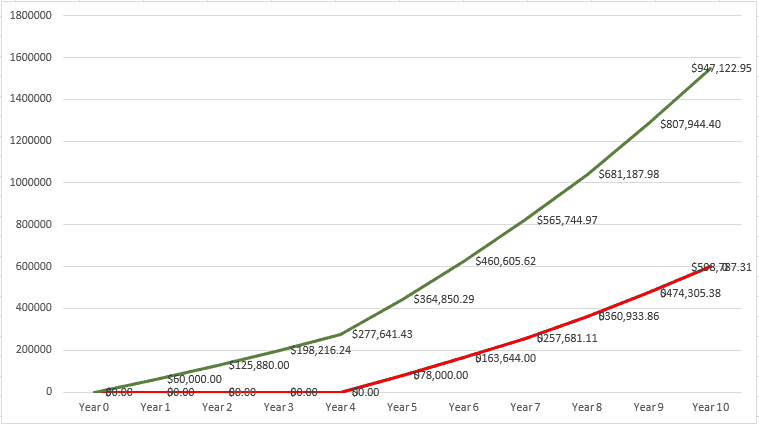 Investing $5000 a month for 10 years would produce a balance of $947,122.95. Even if I would then pay off our mortgage balance ($233,875.40) I would be left with $713,247.55! I’m sure I will get some hate from the DR community. I’m 100% ok with that because I’m happy to see anyone passionate about personal finance. This feels right to us and we believe it will help us reach our goal of financial independence early and THAT is exciting!! 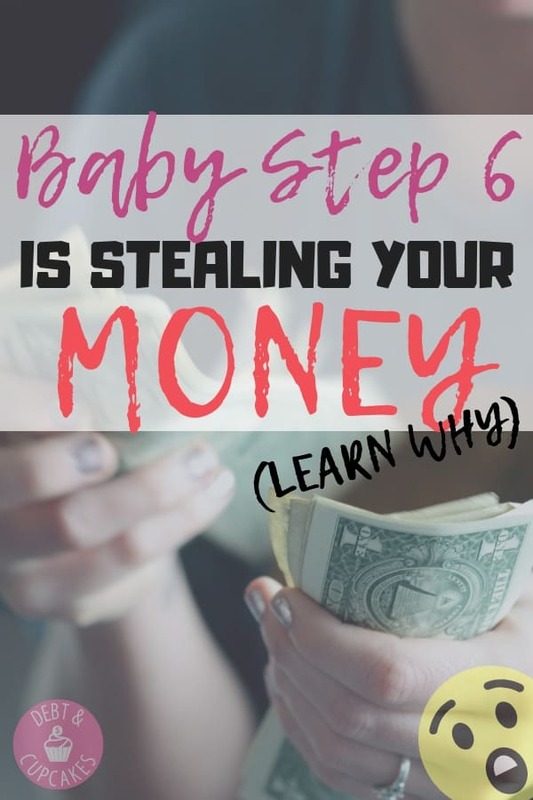 Another problem with baby step 6 is that it’s really targeted at emotional security, not necessarily financial security. Sure, if you lose your job or ability to make any income, you won’t lose your house. That’s tremendous security if that situation occurs. Is the worst case scenario really the baseline we use to make financial decisions? If so, I would imagine we would do a lot of things differently. People wouldn’t ever get into debt. Folks would only choose high paying jobs and marriages would all come with prenuptial agreements. We’d all be walking around wrapped in financial bubble wrap, biting our finger nails when confronted with any form of risk. I don’t believe all of our decision should be made from a place of pure fear and anxiety. We have to do what feels right given our current life situation, not preparing for events that may never occur. That’s anxiety. Once I ran the numbers and talked to quite a few financial professionals… it started to make sense that our mortgage wasn’t going to make us poor. Leveraging our home for 30 years makes sense for us. Run the numbers on your home. I was extremely surprised once I ran the numbers and found. If paying your mortgage off early feels like the right move, do it. 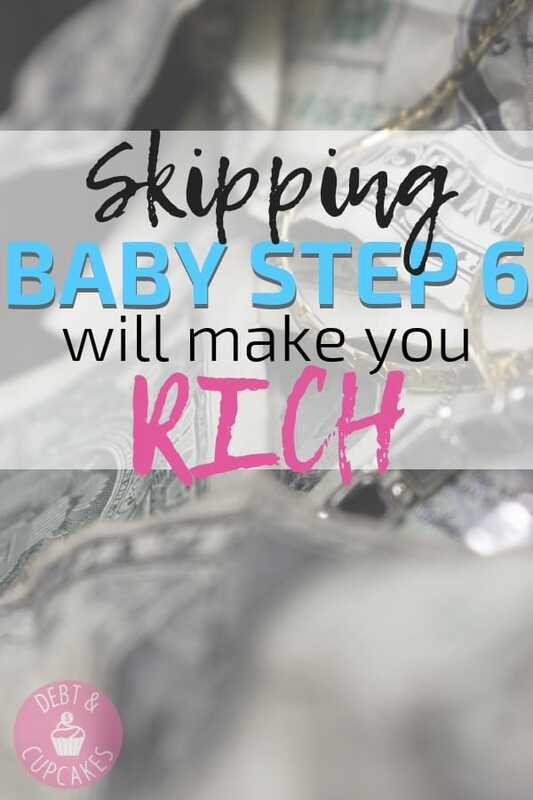 Just explore all of the scenarios before following the advice of a multi-millionaire financial guru. 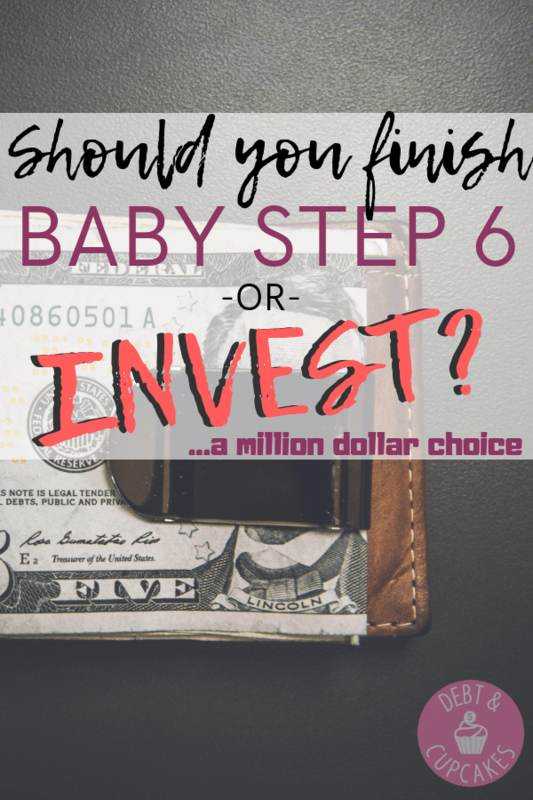 Are you willing to stray from the baby steps? Or, do you believe they’re the only way to go? This was very interesting to read. We have been going back and forth about the same things. We are paying off our mortgage because it works for our financial situation but the math doesn’t add up the same for every situation. Also don’t feel bad about the hate from the DR community. LoL It’s not their money! Good Luck friend! Thanks for the comment!! I agree, every situation is different. I hope to pay the house off once we reach a financial independence point. We shall see!! Good luck! Hey! Thanks for stopping by and commenting! I agree it’s not always the right choice, but doing the math is critical. I completely agree with your assessment, as long as people are disciplined enough to save the full amount and don’t panic when the stock market pulls back or crashes. And there is also a lot of freedom in being mortgage free. Some people try a dual approach. It’s definitely critical to start saving earlier rather than later to take advantage of the time factor. I agree, discipline is incredibly important! Thanks for stopping by!! What about inflation? Wouldn’t that really make your savings not that much better than paying off your home now? That’s an interesting thought. Inflation fluctuates, but you could say 2% annually. If you are getting an average 9% return on your investment and paying 4% interest it does cut the gap down, but the money invested would still gain a higher return than the mortgage.